I arrived early at Zilker Park to walk the Hike and Bike Trail and photograph the Austin skyline. This view of downtown comes from near the Hyatt Hotel. 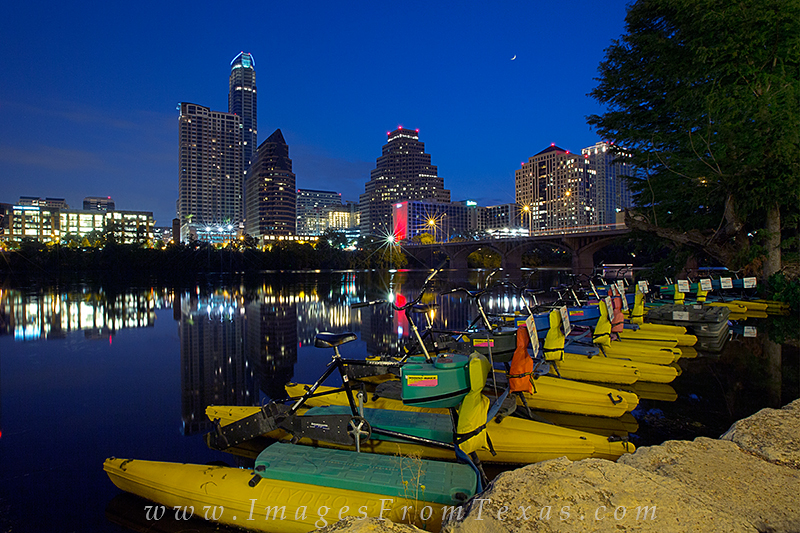 i loved the colors of the boats on the still waters of Lady Bird Lake. Photo © copyright by Rob Greebon.